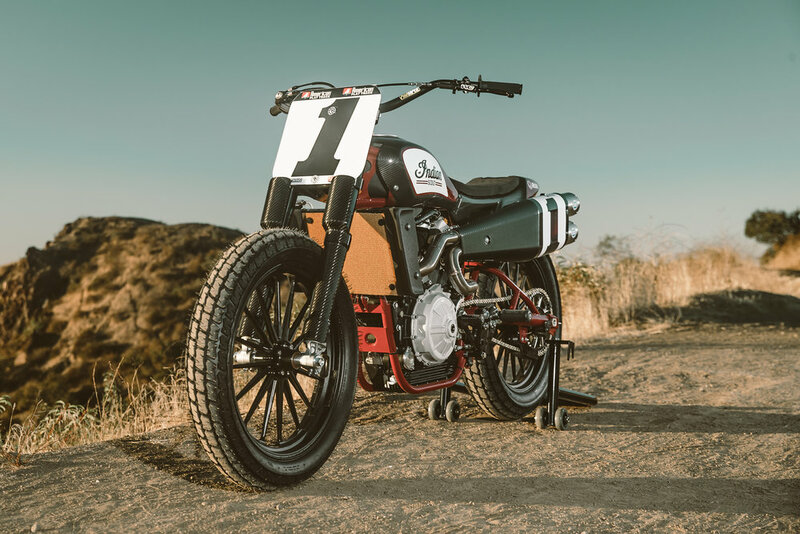 META — Spirit of the "Wrecking Crew"
Spirit of the "Wrecking Crew"
The Scout FTR1200 Custom takes inspiration from the Scout FTR750’s purpose-built flat track race bike that Indian’s “Wrecking Crew” piloted throughout a dominating championship season in the 2017 American Flat Track Series. 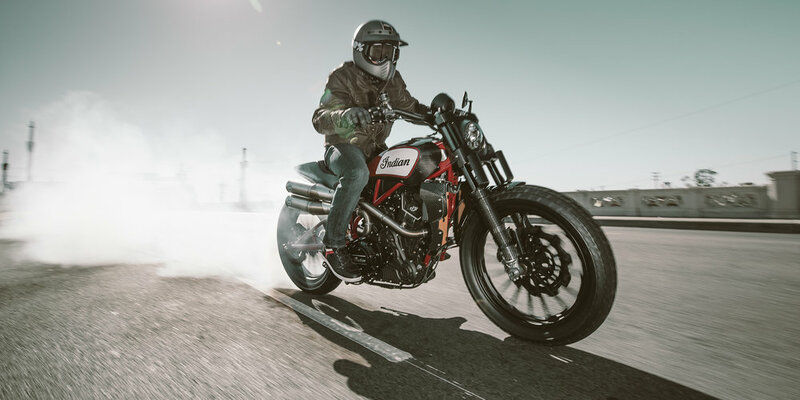 Built in partnership with Indian’s race team, the one-off custom houses the Scout’s street-legal 1133cc V-Twin engine. 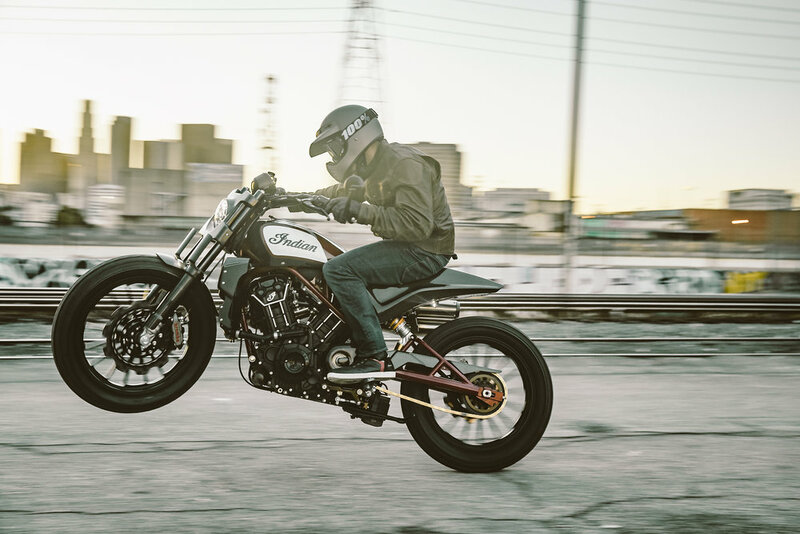 As well as honoring Indian’s race team of Jared Mees, Bryan Smith and Brad Baker, the Scout FTR1200 Custom serves as an exploration of how Indian could expand brand perception around the world, with exciting new offerings that are relevant to a wider-ranging consumer set. 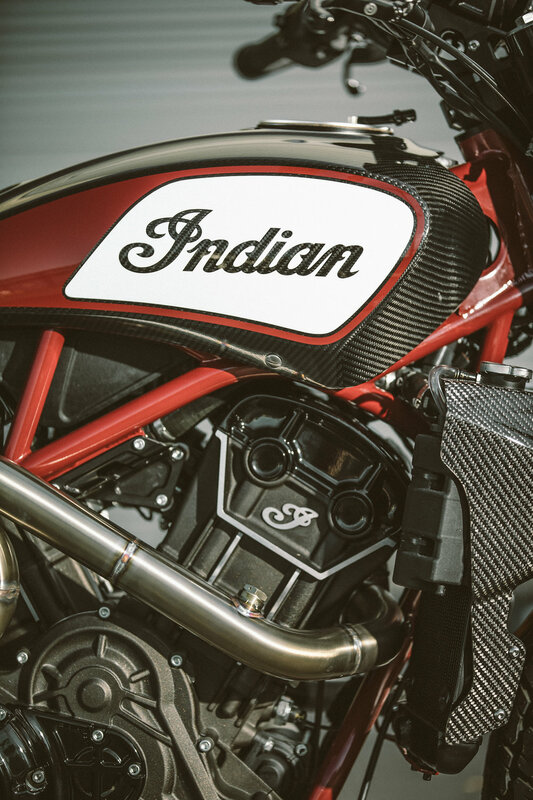 Out of the 18 flat track races that took place in 2017, the Indian Wrecking Crew took 37 of the 54 podium positions available, including six podium sweeps and 14 race wins, bringing Indian the manufacturer’s title and Mees his fifth AMA Grand National Championship. Not only that, Mees, Smith and Baker swept the 2017 AFT Championship - placing 1st, 2nd and 3rd, respectively. Mees tallied 10 wins out of 18 races and set a new single-season record of 17 finishes on the podium, while Smith was on the podium nine times, with four wins, three runner-ups and two third-place finishes. Baker tallied 10 podiums, despite being out with an injury and unable to compete in the final two races. He earned five runner-ups and five third-place finishes. 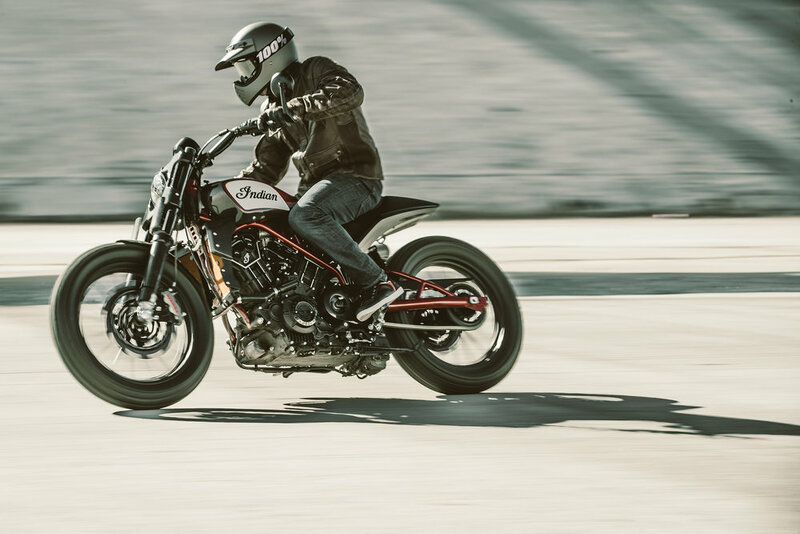 “We’ve built a strong foundation in the Cruiser, Bagger, Tourer (CBT) segment over the past five years and we are excited by the positive feedback on the FTR750 and the opportunities to grow the brand globally in the years to come,” Menneto continued. 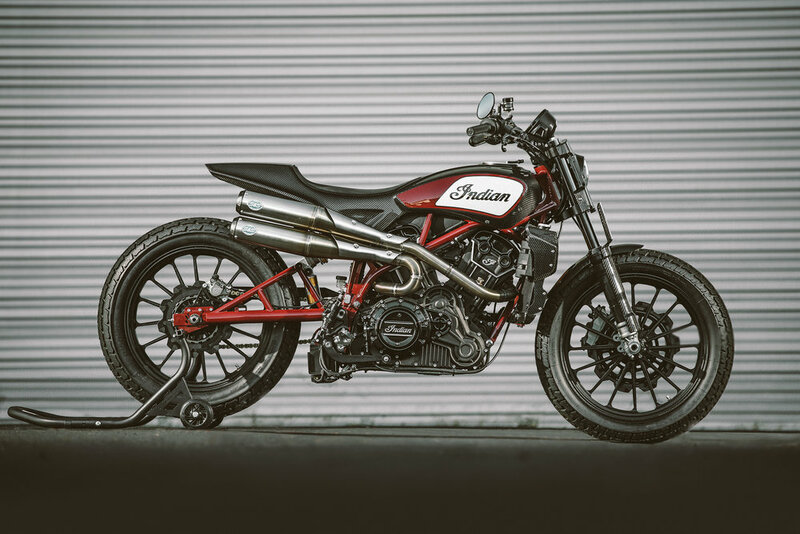 Following EICMA, the Scout FTR1200 Custom will go on a world tour and will be exhibited at events throughout 2018 to help the brand to continue to expand its reach.